Climbing Mt Kilimanjaro is a lot of fun, but it’s also a lot of hard work. You’ll enjoy the experience much more if you train hard before your trip. In this sense, your quest to climb Kilimanjaro begins at home. Check out these tips on how to begin an outdoor training regimen that will help you make it to the summit of Mt. Kilimanjaro. The best way to ensure you can handle the physical demands of hiking Kilimanjaro is by replicating the activity you’ll be doing on the mountain – that is, hike! Because although we say that you “climb” Kilimanjaro, it’s more of a hike, albeit a demanding, rigorous one. In the months before you travel, use the weekends to visit hiking trails near your home. If you’re beginning your training regime at a low level of fitness, you might want to spend some time in the gym first, but ideally you’ll spend as much time in the outdoors as possible. 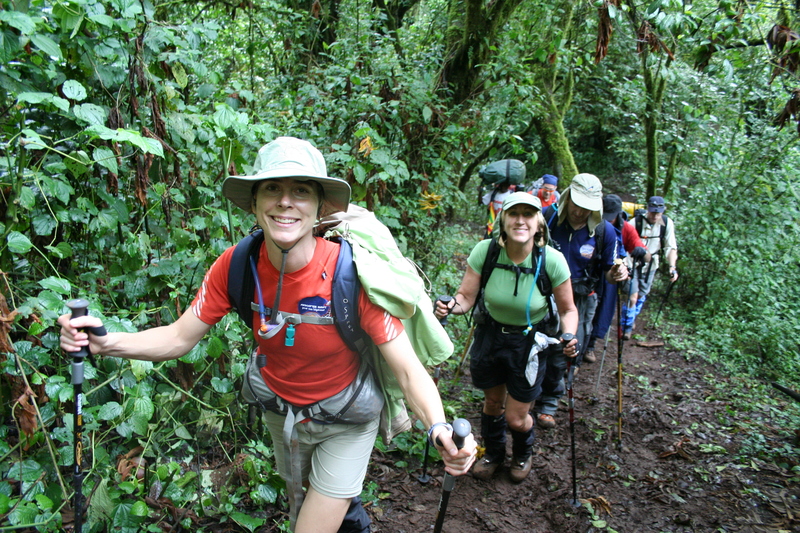 While getting used to hiking in the outdoors is important, the most beneficial thing you can do before you fly to Tanzania and climb Kilimanjaro is to build up your endurance. Try to cover increasingly advanced terrain and go for longer hikes each time you train. For example, over time you should stretch out your half-day hike into a full-day hike, and you might eventually want to consider two or even three-day hikes, where you pitch your tent for the night and carry on the next day. It’s also worthwhile to gradually add weight to your hiking backpack as this will increase your fitness level and help replicate the weight you’ll be carrying on the mountain. 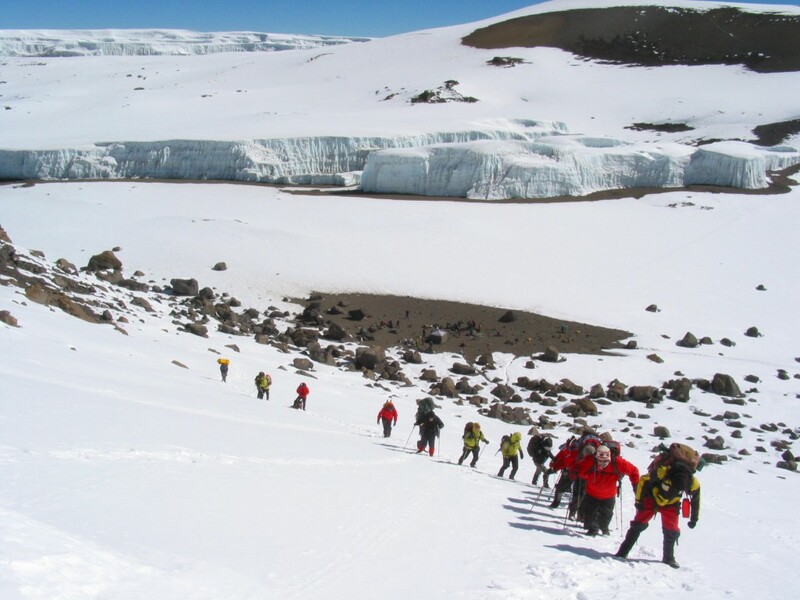 You can combine your fitness regime with the other challenge on Kilimanjaro: altitude. Altitude sickness is one of the major factors in people not making it to the summit. Fortunately, you can both get fit and begin the acclimatization process by training at altitude. Do this by training and, if possible, sleeping, at over 6,000 feet above sea level. Camping in particular will not only speed up your fitness regime, but will give you a fairly realistic idea of what the day-to-day experiences of your multi-day trek up Mt. Kilimanjaro will entail. Your training should be intense and exhausting; if it’s not, you’re not doing it right. While it may be a struggle, you’ll eventually be more than thankful you put in the effort. In the end, the saying “no pain, no gain” is true – fortunately, the pain of training before you climb Kilimanjaro is rewarded by the gain of an unforgettable experience, great views, and memories that will last a lifetime.